I used the Decorative Dots embossing folder on Whisper White card stock. 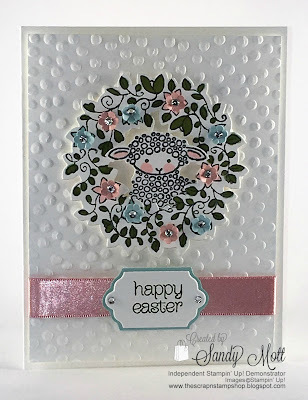 The wreath and sentiment are from the stamp set "Circle of Spring". The ribbon is from the Love Blossoms Embellishment Kit. I colored the flowers with Pool Party, Blushing Bride, and Mossy Meadow markers before cutting out tiny flowers with the Tree Builder Punch. Each flower is dotted with a rhinestone. I love the way that little lamb is peeking behind the wreath. 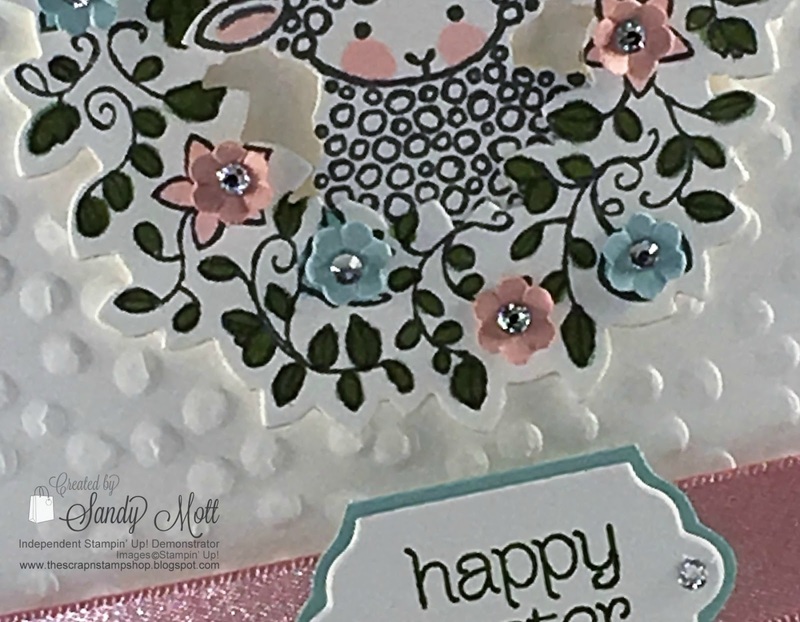 I pop-dotted both the lamb and the wreath and placed them on the card front. The card base is also Whisper White. 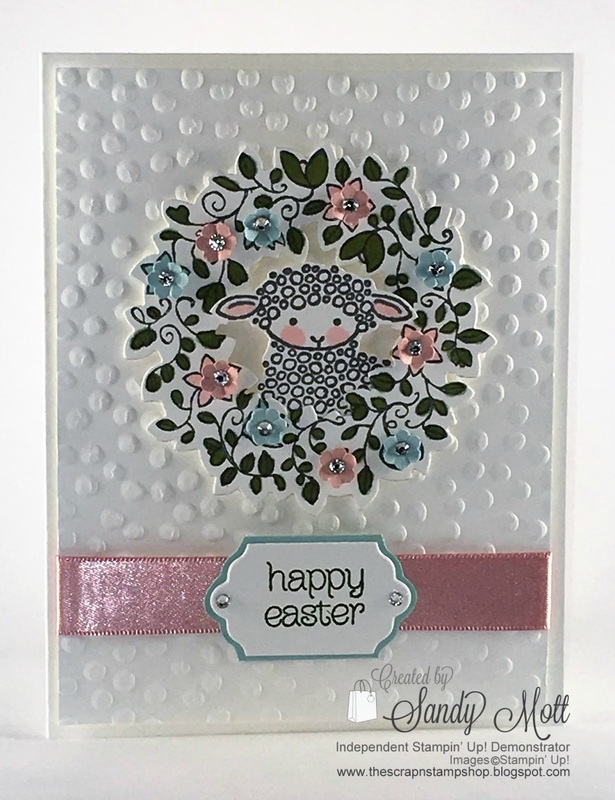 The lamb and wreath is stamped with Basic Gray and the sentiment is stamped in Mossy Meadow. This is one of the cards we will be doing at Stamp Camp on March 12. Hope you can join me! Don't forget to check back here on March 5 for our Creative Circle Design Team Blog Hop. Such a cute card! Another great creation.